Adjustable height of 16" to 22"
The Safco Diesel Industrial Low Base Stool is ideally suited for workbench and work table use in the educational, industrial and institutional industries. It looks stylish with its recycled leather padded steel back, steel frame and pewter finish. 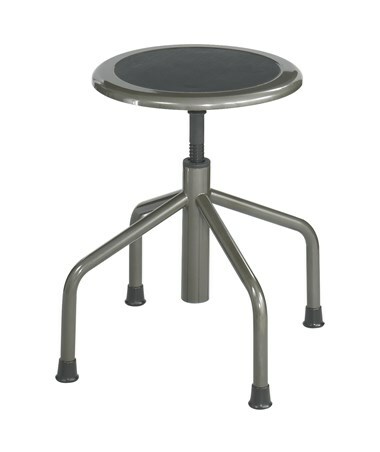 This 18-pound stool has a base diameter of 15 inches which is built for durability. The Safco low base features a steel screw adjustment that manually adjusts from 16 to 22 inches. 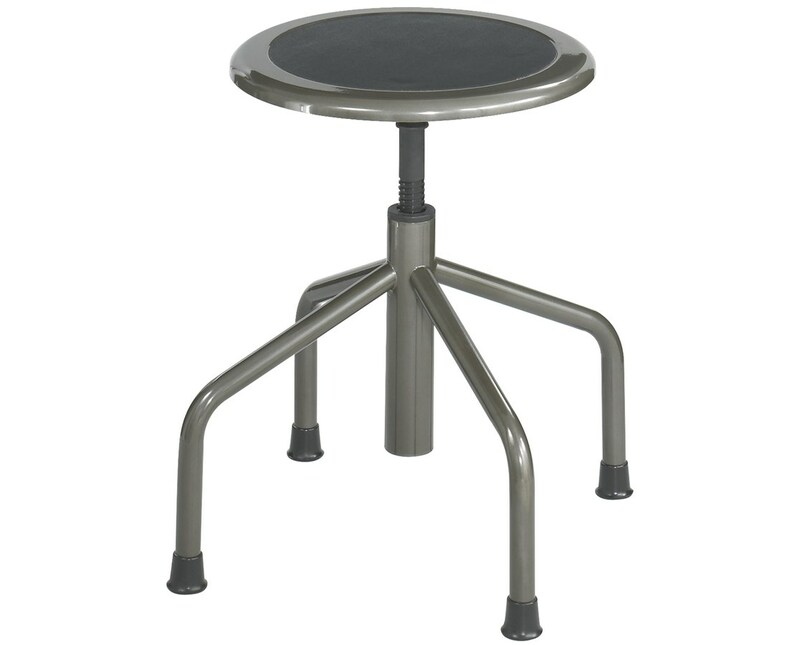 Designed for comfortability, the Safco low base stool comes with a seat diameter of 14 inches and has a weight capacity of up to 250 pounds. Also, it includes durable rubber feet to protect floors. In addition, it is GREENGUARD certified for low chemical emissions. 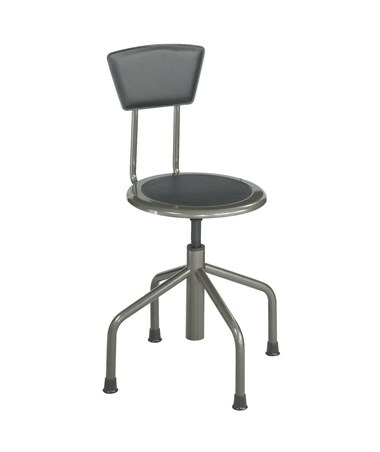 The Safco Diesel Industrial Low Base Stool is available in two types. Please select your preference from the drop-down menu above. Manual height adjustment from 16" to 22"